They ate. He strummed the yukele and she played checkers. “Do you love me more than that yukele?” she asked, when he was mid-strum. He stopped strumming as he said it and raised his eyebrows expectantly. She thought about it. And thought about it. He brought home potato chips when he made a mistake, when she was cross, when the sky was gray, when the bus was late, when the dog got sick, when she was happy and when she was not. 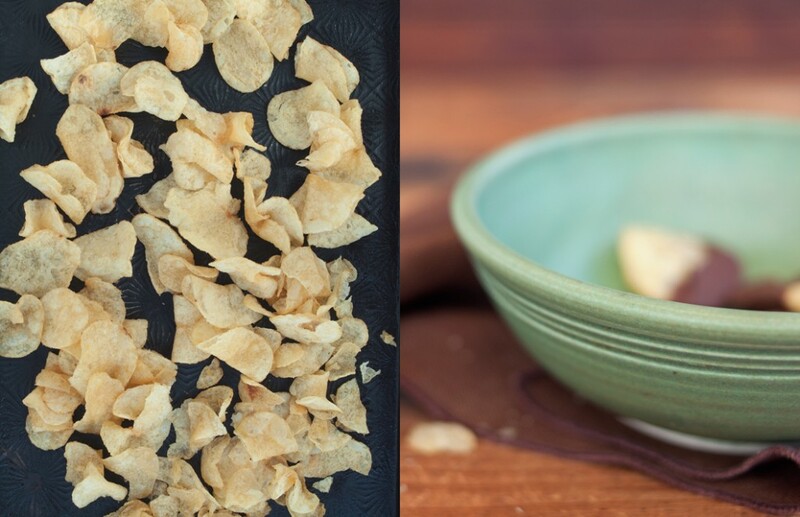 It was an unspoken rule that there would always be chips in the house, at least one bag. Keep your favorite thing close by, her mother had told her before she died. Key to a happy marriage, that. And though she was sure her mother did not mean potato chips, she kept them close by. Just in case. 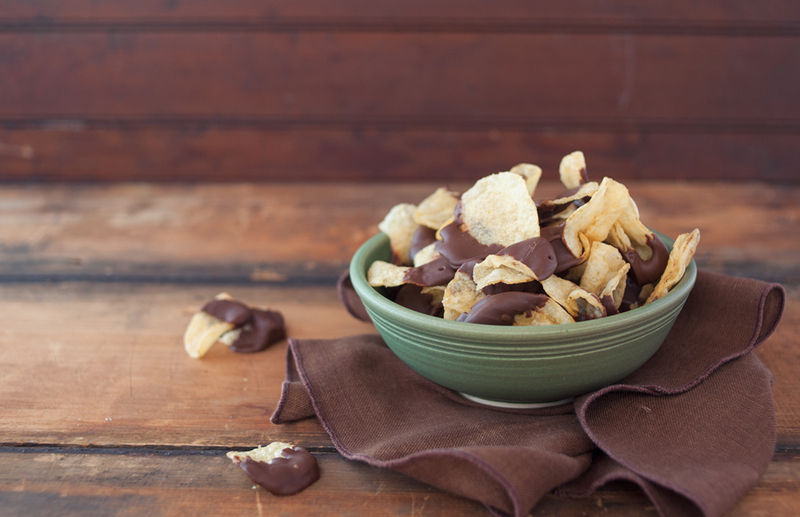 We’re kicking off our chocolate month with some salty, chocolatey bites. They’re as simple as can be and while some might sniff and turn away from such an idea, I know there are a few of you (maybe more than a few) who just saw these and said YES. MORE. YUM. And so, these are for you. 2. As soon as the chocolate reaches temp, stir in the remaining chocolate until melted. Continue stirring until chocolate hits 90°F (32°C). 3. 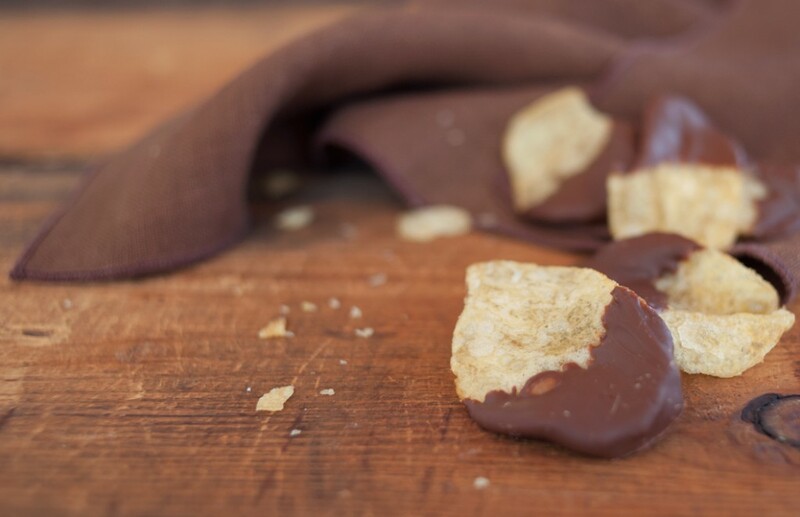 Use tongs to dip potato chips into chocolate and place on waxed paper. Cool until set or refrigerate.